Surabi Bullion is a leading gold bullion trading company in Coimbatore. It is one of the most preferred and reputed in Tamil Nadu. It was founded in 2009 in Coimbatore by Mr. Karthik and Mr. Vasudevan. Sons of R.Kuppuraj. 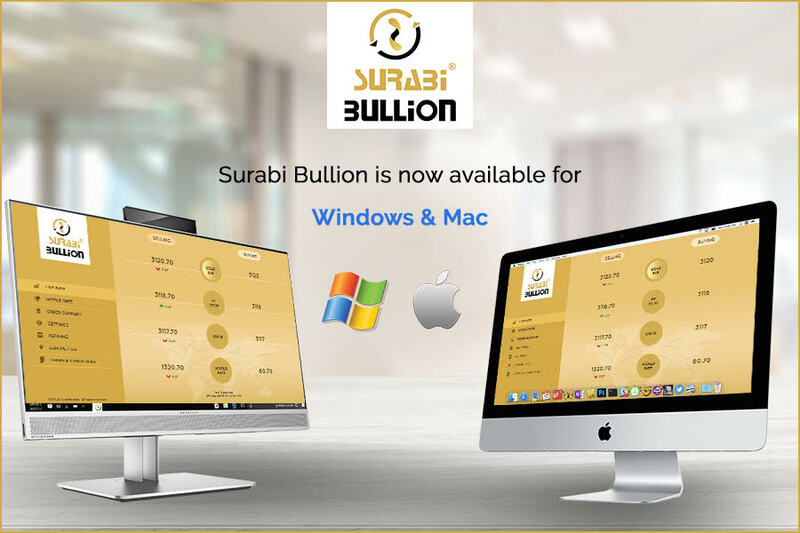 Surabi launched the first website and mobile application in India with a transparent, smart platform where customers can see live gold bullion trade rates. The mobile application is user friendly and is hassle free for booking orders. With just 200 users in 2009, today the website attracts 5,000- 6,000 unique users every day. The product always meets the requirements of customers, irrespective of volume and urgency, as they are imported directly via government approved agencies, banks, and global suppliers. Surabi Fine Gold, established in the year 2016, was started with the main goal of producing world class, eco-friendly fine gold. It is the first of its kind in India with an advanced technology that produces gold of finest variety showcasing purity, consistency, and homogeneity, and is at par with international standards. Surabi’s fine gold is rightly termed as ‘eco gold’ since it’s by products are safe to the environment and its fumes are neutralized as ozone. The discharged water is used for watering greens. The ultimate vision and goal of our company is to become a name associated with trust, quality, and efficiency in the world of jewellery. Our mission is to bring new innovations in the field of bullion trade and gold refinery for better customer experiences. Transparency and effective customer service is the promise of Surabi Group of Companies and we work diligently to keep it up. With just a couple of employees under our wing in 2009, our company has grown into a trustworthy family of 25. As our companies grow our employees also grow along with it. With a humble turnover of Rs. 50 cr in 2009, Surabi Bullion has steadily grown over the years and today has a turnover of Rs. 2,500 cr (as of April 2016.) with the introduction of Goods and Services Tax our business has the potential of rapidly expanding far and wide throughout India. The group provides employment to 25 employees. They are all trained by skilled professionals in relevant and respective areas to bring utmost perfection and quality in whatever they do. The company ensures that the workforce has necessary safety gears required to work in the factory and has necessary policies and practices to make the employees and their families feel secure and supported. Surabi’s growing customer base can be owed to its effective customer service and user friendly platforms. Over the course of 8 years we have serviced a wide range of clientele from SMEs to corporate to single owner shops. SMEs like Vasavi Thanga Maligai, Sumangali Jewellers, ANS Jewellers etc. Corporate like GRT Jewellers, Kumaran Thanga Maligai,Thangamayil, Jos Alukkas, AVR Swarna Mahal and many more. In the year 2008, Mr. Karthik decided to start a bullion venture after he felt that there was a wide gap between the supply and demand in the field of trade. After few months of work he successfully established the company in 2009 along with his brother Mr. Vasudevan. Mr. Vasudevan is an MBA graduate and a Software Engineer. He and his brother Mr. Karthik decided to join hands and start a bullion trade business that was easily available and transparent. He worked towards creating a platform that was smart, transparent, and had up-to-date information with live streaming of rates. Mr. Vignesh, an MBA graduate, has been working with the founders from the get go. He is responsible for various functions in the company including logistics, customer relations, pricing, and billing. An MSc graduate and entrepreneur, Mrs. Hemamalini has been working actively since the foundation of Surabi Refinery towards building an efficient and eco-friendly mechanism for refining gold. Along with ensuring a continuous evolution in the machineries used, she also oversees the overall operations of the factory.